PappaRoti is celebrating the grand opening of their Vancouver Chinatown and Coquitlam locations with some seriously drool-worthy new eats. The Malaysian coffee bun chain just turned up their coffee buns to 100 with this epic brekkie creation – the Spam & Egger Coffee Bun. A combo of sweet and savoury fried Spam and fluffy scrambled eggs stuffed between a sliced signature PappaRoti coffee bun. This morsel will be available at all three of PappaRoti’s locations: Robson, Keefer Place, and Coquitlam. Made-to-order and only available for a limited time (and in limited quantities), this breakfast of champions is only one dish from a list of several new additions to the menu from the maker of “The Father Of All Buns”. 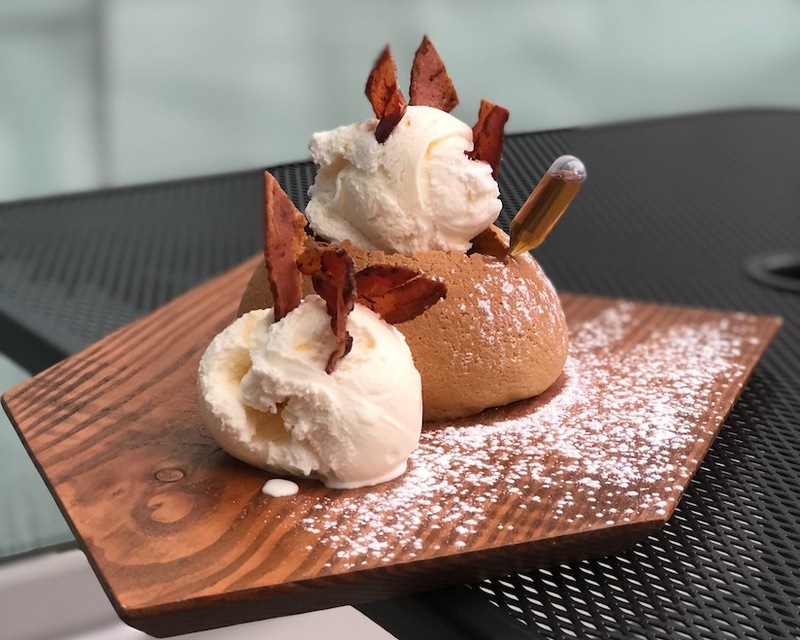 PappaRoti will also be featuring a “bun of the month”, and for December it’s the Maple Bacon bun and the Marshmallow bun. Other new options include Butter Chicken, Sweetheart Chicken Apple & Brie. Naked Avo & Egg, Cheeky Tuna Melt. Smoked Turkey & Brie, Roast Beef & Cheddar, and an Italian Meatball Sub. All sandwiches are made with loaves from A Bread Affair. All things considered, it’s safe to say this is the place to head if you’re looking to switch up your breakfast and lunch routine.